Blackpool Coach Holidays & Tours – Why Go? Love it or hate it Blackpool is one of the UK's favourite seaside holiday resort destinations for people of all ages. It's been one of the top destinations for many reasons and has made many attempts at re-inventing itself. A great way to get there and explore the surrounding countryside is on one of the many Blackpool Coach Holidays. When people think about Blackpool they generally think about the Blackpool Tower, shows, fish and chips, the Promenade and amusement rides. Despite this reputation Blackpool still attracts huge numbers of visitors each year because that’s what its reputation is but it’s also so much more. Here are a few examples of some of the coach holiday options to Blackpool. For up to- date price information please visit the appropriate coach forms web site for details and to check availability. A 4 day coach holiday departing on Fridays for 3 nights on a half board basis staying in the Libertys on the Square hotel Blackpool. Music and dancing every evening with 3 course evening meals, Traditional full cooked breakfast and a sightseeing excursion. This Blackpool coach holiday includes all the usual features you would expect such as the traditional full cooked breakfast, 3 course evening meals, Evening entertainment and two excursions. This Shearings all inclusive coach holiday also includes 4 drinks vouchers per person, per day. The vouchers can be used on soft drinks, branded beers, wine, spirits or tea or coffee. A 5 day Blackpool coach holiday departing on a Monday for 4 nights on a half board basis at the Libertys on the Square hotel. There is lively entertainment most evenings and you get breakfast and dinner. You also get two excursions included in the price – a full day visit to the Lake District and a half day visit to Fleetwood. A 5 day, 4 nights Blackpool coach trip which includes the world famous Blackpool Illuminations, a trip on the East Lancashire Railway and a Lancaster Canal Cruise. Accommodation for your stay in Blackpool is in the Libertys on the Square Hotel in Blackpool. Included in the cost is your breakfast and evening meals. Start the New Year in Blackpool and also enjoy a special five course Gala New Year's Eve dinner with drinks reception and a full festive programme of entertainment during your stay. The trip also includes a trip to Botany Bay for some retail therapy across 5 floors. Have an extra special Christmas with the traditional 4 course festive Christmas Day lunch with all the trimmings and also enjoy the evening entertainment programme. No Christmas break would be complete without your present from Santa Claus. This trip also includes two excursions, Botany Bay with 5 floors of shopping to get some belated gifts for friends back home and a trip to Fleetwood on the Wyre estuary. This is a 5 day (4 nights) coach holiday to Blackpool staying at the Queens Hotel and includes two excursions. The first trip is a full day excursion to Windermere, Ambleside & Grasmere. The second full day coach excursion is the Alfa Travel ‘Taste of Lancashire' Tour which includes a short cruise on the Lancaster Canal. Depart on a Friday on thei Alfa Travel Blackpool weekender and head for the Queens Hotel for your weekend break. 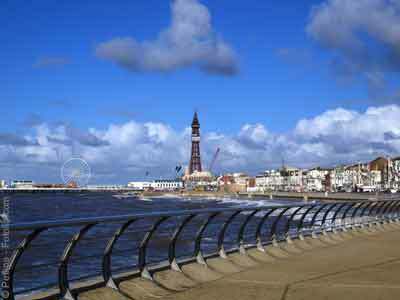 Included in the Blackpool wekend holiday is two half day excursions. You can visit Fylde Villages & Lytham St Annes and the excursion to Glasson Dock which is a working port situated in the Lune estuary. Coach holidays can change their itineraries and accommodation they use so please make sure you double check to see what is included in the price and that the holiday details suit your needs before you book. There are alternative to coach holidays to Blackpool where you can enjoy the same accommodation and facilities by taking your own car. For many this offers a greater amount of freedom by letting you explore the surrounding area yourself when you want. Shearings offer self drive Blackpool hotel breaks which may or may not work out to be a better deal or not. It all depends on which part of the country you are leaving from and obviously the cost of petrol and whether you are happy to drive a long distance. Blackpool attractions obviously include the famous Blackpool Tower , which originally opened away back in 1894 and has been the dominant landmark of the skyline since that time. Now you can step out 380 feet above Blackpool and go onto the new Skywalk with only a glass walkway separating you from the ground all 380 below you! Allow time to explore the four levels of the Blackpool Tower Eye. Making history fun, gruesome and scary at the same time as you interact with actors. Will you be found guilty in the old Blackpool court, find out about the plague and visit the torture chamber. Get your photo taken with some of the country's best loved stars. How many will you famous people will you recognise? A great attraction to visit for all the family especially if the weather is not as good as it could be. For the more adventurous visitors with an array of thrills on the many different rides including Europe's tallest rollercoaster ride. There are also lots of family friendly rides and shows on offer as well in this massive 42 acre site. You can also take a visit to Ripley's believe it or not, a museum of the unusual to say the least! When the days get shorter and the nights get longer, three million visitors a year head into the light! (Not that light) The Blackpool Illuminations which lights up Blackpool generally for around 66 nights (August – November) There are many coach holidays to Blackpool with the sole purpose so that people can enjoy the lights as many people have done since 1879. Things have changed since then and there are more lights and the power source is from green electricity from renewable resources and the lights are more efficient by using special LED lights as well. A great way to see some of the above attractions and many more is by getting a Blackpool Resort Pass which offers savings on individual entry. The pass covers attractions like the Blackpool Pleasure Beach, Nickelodeon Land, The Blackpool Tower Eye & 4D Experience, The Blackpool Tower Dungeon (If you dare! ), Seal Life Blackpool, the Blackpool Zoo, Sandcastle Waterpark and Blackpool Model Village & Gardens. The pass can be booked online before you go. 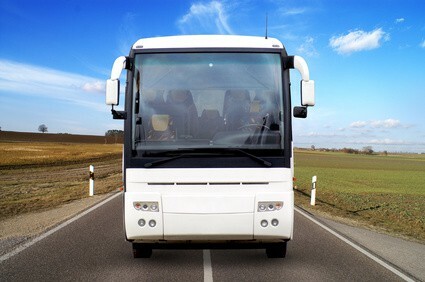 Depending on what Blackpool Coach Holidays option you choose, some of the coach trips include either free or optional excursions whilst you are in Blackpool. Each Coach holiday firm offers their own variation and tours so check before you book to see what is included. A popular resort overlooking Morecambe Bay with a good sized market with around 250 stalls. There is a nice promenade which you can stroll along and watch the fishing boats and the fresh sea air. A visit to the largest National Park in England which also has the deepest Lake and tallest mountain in England. Visit Bowness on the shores of Lake Windermere and perhaps Grasmere, think William Wordsworth. Lots of great scenery to take in as well. Hopefully we have given you a few useful Blackpool coach holidays to choose from. It is best to check each one to see what one has the best prices and holiday options for your coach holiday to Blackpool. Below are some links to take you direct to the official coach holidays web sites so you can start looking for your Blackpool coach holiday today.